Indoor photography offers opportunities not always available with outdoor locations. A child’s playroom or window seat in the bedroom may be the perfect location to photograph a young child who is shy. The threat of inclement weather is no worry with an indoor setting. You can capture spontaneous events with no prior planning. While there are opportunities for indoor photography, there also can be challenges with space and lighting. 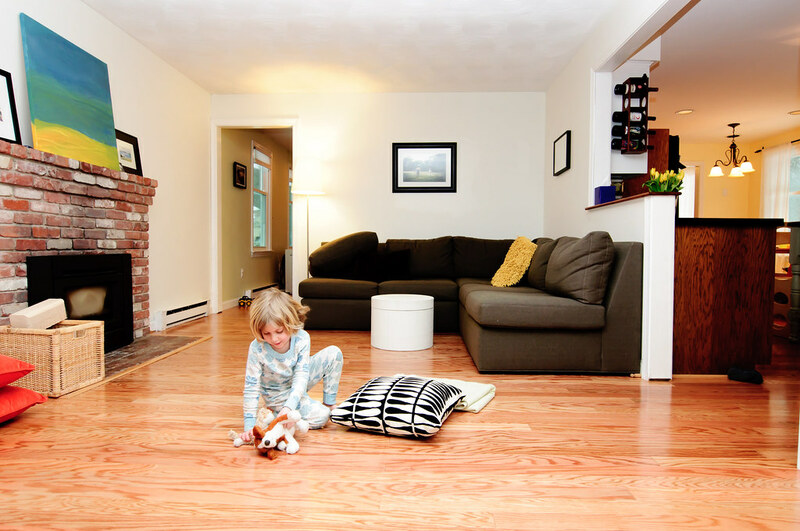 Keep reading for some helpful indoor photography tips to capture the best indoor shots. While many people enjoy the natural lighting of an outdoor location, this same natural light filters through windows in nearly every room of a home or building. One of the most important of our indoor photography tips is to use windows rather than avoid them. Window lighting can provide front, side, or backlighting, depending on how the subject is situated. Blinds can provide some additional control of a room’s light by adjusting them to allow more or less sunlight in the room. A room with a wall of windows can provide an interesting architectural background in addition to providing excellent backlight. At the same time, a room with a small window and less light can add a dramatic, moody feel. A reflector can be a photographer’s best friend, yet is one of the simplest tools to use, making it another one of our indoor photography tips. Reflectors help lighten shadows by bouncing additional light into the subject area. Reflectors purchased at photography stores are often made out of a gold or silver surface on one side and a white flat material on the other. The gold color reflects a warm hue while the silver reflects additional non-color light. A flat white surface helps bounce additional natural light while also filtering it. In addition, it provides shade if the lighting is too harsh, or a reflection that cannot be removed from the area. Reflectors are inexpensive, but may not always be easily accessible; however, you can use other household items as reflectors such as white poster board, light colored sheets, and mirrors. A commonly used trick is to place a mirror near a window to help reflect the additional light toward the subject. A common misconception is that the more light in a room the better, so people often open window blinds, turn on overhead lights, and turn on room lamps. In doing this, there is a mixture of natural light and artificial light, which causes the white balance to be off and can cause white objects to appear yellow and skin tones to appear odd. One of the best indoor photography lighting tips is to remember that less is often better than more. Instead of mixing these light sources, it is important to choose one. When possible, use natural lighting from windows as sunlight is the cleanest light source you could use. In addition, window treatments can soften natural light to provide the perfect ambiance. While natural light often achieves the most sought after results, sometimes a flash is necessary. Next on our list of indoor photography tips is to use flash minimally when another option is not present. Rather than directing the flash toward the subject, angle it upward to bounce light from the ceiling and onto the subject. When photographing humans, this will fill in dark shadows under the eyes and highlight the hair. The flash can also be bounced off a wall to provide nice side lighting for dramatic looks. Indoor locations may be occupied with additional people, distracting objects, and clutter. It is important to capture the look of the atmosphere without including additional objects that distract from the intended subject. If in a home, pick up unnecessary items like toys and clutter. If in a public building, look for a corner where additional foot traffic will not be an issue or distract from your subject. Pay attention to the details that can detract from the overall aesthetic of the photo like scratches on a wall or objects on the floor. Next on our list of indoor photography tips is to pay attention that background items are not falling in odd locations on your subjects. There is nothing worse than to have a perfect image of the subject, but an external element is placed in an awkward position, such as a light appearing to grow from your subject’s head or a support beam dominating a small subject. It may be necessary to shift the angle either left or right or shoot from a lower or higher placement. Professionals know the importance of the manual camera setting, placing the use of aperture mode on our list of indoor photography tips. Aperture priority mode allows you to adjust the depth of field, making the subject more prominent than the background. When photographing indoors and using natural light, you will need to set the aperture wide to allow as much light into the lens as possible. This means the f-stop should be set low, widening the opening of the aperture. By doing this, the depth of field is shallow so the background will be soft and blurred while the subject is in full focus. This allows the subject to become the priority of the photograph and provides a beautiful portrait look. An aperture setting of f/5 or f/6 is common for portrait photography as it keeps the face in complete focus. To adjust the aperture of a camera, look for A or AV on the mode setting. A tripod keeps the camera stabilized in any condition. The cost of tripods can vary from inexpensive to quite costly, but with so many options available. This is a definite must on the list of indoor photography tips. In low light areas, using a tripod allows a longer exposure while achieving sharp photos. Handling a camera in some situations can be difficult, but a tripod gives you enough time to compose and align a photograph and on a stable foundation. Additionally, the use of a remote or self-timer allows one to photograph in very low light conditions and avoid pressing the camera button, which can cause the slightest movement of the camera and produce a blurry image. Most digital SLR cameras accommodate remotes that you can purchase for as little as $8 to $10. Event photographers achieve beautiful and bright images in natural light by using fast lenses and pushing the ISO to high levels. Next on the list of indoor photography tips is to experiment with the ISO setting and not be afraid to push it higher. While anything higher than an 800 may cause some graininess or noise, you can try using a noise-removal program. An ISO setting of 1600 may produce more desirable results that require little to no editing. Some cameras even allow the ISO setting to reach 6400. When the ISO is adjusted, the shutter speed increases. In other words, doubling ISO also doubles the shutter speed. When photographing indoors, do not discount any location. Most spaces offer opportunities for unique photographs that capture the true essence of the mood and locations. Living rooms are often popular locations, but sometimes the entry way or a child’s room offers excellent lighting and simple backgrounds. Look for common household items to help diffuse and reflect light if a reflector is not accessible. While these tips for indoor photography can help achieve great images, the most important thing is to have fun and be creative. And if you’re a complete beginner, don’t forget to also check out our tips for photography article.